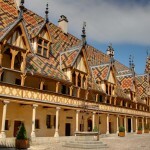 Be a real Chatelain, a successful Truffle hunter, a famous private Chef and become a wine expert in 2 wonderful days ! Day 1 – A King and Queen’s experience in Loire Valley. Find and Cook your own truffle ! Next and final stop is Chinon (1-hour drive) where a truffle hunter and his dogs will be waiting for you. He will take you personnaly to his own truffles land, the Truffieres », to show you how and where truffles grow. He will reveal exclusively for you some of his secrets and tips to search this incredible mushroom and find them among the oak trees and. You will become a real truffle expert ! You then discover your place you’ll stay overnight: a beautiful medieval 15th century-castle open just for you where the owners themselves will greet you. 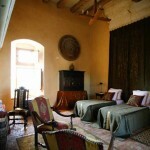 Look for your exquisite room located in the castle, entirely renovated and furnished with antiques. Take the time to wander in the huge and beautifully arranged parc of the castle. Enjoy a wine tasting session that combines wine from the area and truffles canopies.